Hello Students! Just a note about technology for the El Dorado Forestry Challenge. First of all, each team should have one laptop to use in preparation for their focus topic presentation. PCs are preferred. If you bring a Mac, you will need to be able to convert files so they are PC friendly, and also have an adapter so your Mac can connect to a projector. More than one laptop per team is allowed, but not necessary. If you need a laptop, I have a few available for loan, but you need to let me know in advance if you want to check one out. On the first night of the Challenge, you will receive a flash drive with focus topic related materials, so be sure your computer has a standard USB port. You can also bring any background information about the focus topic on the hard drive of your laptop that you think will help you in the preparation of your presentation. Fortunately, Leoni Meadows has a strong Wi-Fi signal in the room where you will be working, so you should be able to do some internet research as you develop your presentation. Your computer also needs to have PowerPoint software loaded onto it. We do not use Prezi or Google Slides, as they are dependent on an internet connection, and Leoni Meadows does not have reliable Wi-Fi in all of the presentation rooms. At the end of the presentation prep time, you will copy your completed presentation onto the flash drive and turn it in. We will load it onto one computer that will be dedicated to your assigned presentation room. And, lastly, I highly recommend bringing a camera that can hard-wire transfer photos to your laptop. If you have any questions about technology at the El Dorado Forestry Challenge, please email Diane. Thanks! Determine forest species composition using a 1/10 acre square plot. Understand the purpose of a Nonindustrial Timber Management Plan (NTMP) and how it differs from a Timber Harvest Plan (THP). Be familiar with Part 2 of the Leoni Meadows NTMP that describes silviculture for harvests under the plan, particularly page 1, where silviculture for the special treatment area for wildlife is described. Be familiar with habitat needs for the Great Gray Owl in California. 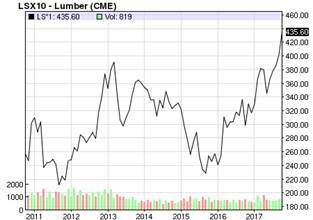 Understand the types of costs associated with timber harvest and recent market trends.